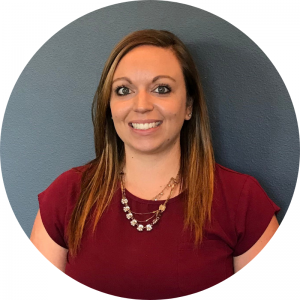 Dr. Melissa Dalrymple grew up in Keenesburg, CO. She developed an early love and understanding of chiropractic because she was a chiropractic patient as an infant! Chiropractic care helped when she struggled with chronic ear infections, and helped her avoid getting tubes placed in her ears. She realized she wanted to become a chiropractor after seeing just how healthy she was growing up while getting adjusted all through childhood. This experience also helped her heal and recover quickly from car accidents and softball injuries without the use of medications. Dr. Mel studied at McPherson College. She then transferred to Cleveland University in Kansas City to study chiropractic, where she received both a degree in human biology as well as her Doctorate of Chiropractic (D.C.). Upon graduating, she returned to Colorado to begin working as an associate doctor. She has completed extensive pediatric training and also holds her Webster prenatal chiropractic certification. She is passionate about caring for chiropractic patients of all ages. Is Your Wallet Hurting Your Spine? At Peak Performance Chiropractic, our goal is to bring Chiropractic simply and affordably to the families in our community of Fort Collins, Colorado, so they can achieve and maintain optimal health. © 2016 Peak Performance Chiropractic & Wellness Center. All rights reserved.